Everybody has their own guardian angels. If you want to discover more about your personal guardian angels and learn how the power of spiritual healing can bring happiness and contentment to your daily life contact psychicworld.com now for a personal Angel Card Reading. Every week our angel card drawer draws three cards with personal message. Choose your own spiritual card. Please follow the weekly card draw on Facebook. You’re feeling the need to move on. What once interested you has lost its charm, and you’re seeking more meaning and rewards. The Sun is one of the most optimistic cards in the deck, spreading light and positive vibes to anything it touches or is near. It's a card of happy times, happy omens, and many blessings appearing right before your eyes. Relationships will warm and flourish. Abundance will manifest. Gains will be seen. When the Sun comes up in your reading, it means that you can be carefree and innocent. You don't have to worry about the people around you and their motives, as the light has burned anything negative or dark away. You feel comfortable and self-confident, that you can go forward with the knowledge that everything is working out in your favor. Even if you are in a little bit of a rough patch, the Sun tarot card means that you bring a positive attitude and that you radiate an "I can do it" attitude, and that people will be attracted to your warmth and charm. Just as the sun rises after night, you might feel like your life is finally lightening up and that you have come to a more enlightened, positive phase in life. If this was your card today, enjoy! Even if things aren't all bright and shiny, the Sun tarot card means that better times are on their way. You deserve love, and you will get it. How does the one time Easter voucher work? $10 FREE credits on your PsychicWorld Account, $20 upgrade required! $25 FREE credits on your PsychicWorld Account, $50 upgrade required! $50 FREE credits on your PsychicWorld Account, $100 upgrade required! Meaning you will get $30, $75 or $150 worth of credits. Only 149 discount coupons left. The Six of Water is a card related to childhood and nostalgia for the "good old days." You might be looking back, longing for a simpler, more innocent time, or things that are happening to and around you now might be bringing up aspects of your childhood. While it is OK to reminisce, it's not advisable to spend your days lost in memories. 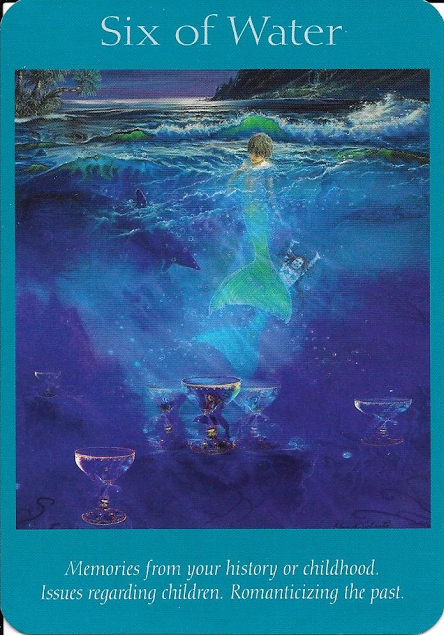 The Six of Cups can relate to children in your life, be they yours or those of friends and family. Children will become an important topic in the near future, and this card can also point to a pregnancy or to being more closely involved with children in the near future. Your inner child might also need care when the Six of Cups comes up. There are times in your adult life when past hurts will be triggered, and working to heal your inner child, allowing for more play and innocence, and giving your inner child the love and care that you might not have been given during your childhood will help you to move forward in this time. Generally speaking, the Six of Cups is a very good card. It points to happy thoughts about happy times and bringing more childlike qualities into your present life. The Hermit is a card of illumination and of finding your own way and wisdom, away from the distraction of others. You might find yourself feeling pulled to isolate yourself from the world so that you can do some soul searching. Instead of turning to others for answers, you are intent on finding them in yourself. If this card shows up in your reading, you might be feeling a need to make a change in life, and you might realize that you need to really reevaluate who you are and what your priorities are so that you can find a path in life that suits you better. The Hermit shows a person who questions the meaning in his/her life and why things have brought the person to this point - this place in time. You'll use the wisdom you've gained up until this point in time and likely have some fascinating revelations that will lead you to a higher place, spiritually, than you've been before. It's important, then, to spend some time meditating right now, as you'll need that quiet stillness in yourself in order to really get in touch with your core beliefs and couple them with the spiritual cues that you've been receiving. The Hermit, more than some other cards, shows spiritual enlightenment and understanding. Others might turn to you for spiritual guidance as well. When the Hermit comes up in a reading, it can mean that you will be a spiritual teacher - a light for others to follow. If you've been called to teach others about spirituality, this is an excellent sign that you'll do well. Enlightened or in the process of enlightenment, the Hermit is a card that points to inner wisdom and solitude. Taking time to connect with your personal angels will enhance your lifestyle considerably, giving you self confidence and awareness and helping you deal with any problems that occur. Your readings assist you in getting in touch with your subconscious self and the energies that drive your life, bringing you to self awareness and greater happiness in life. 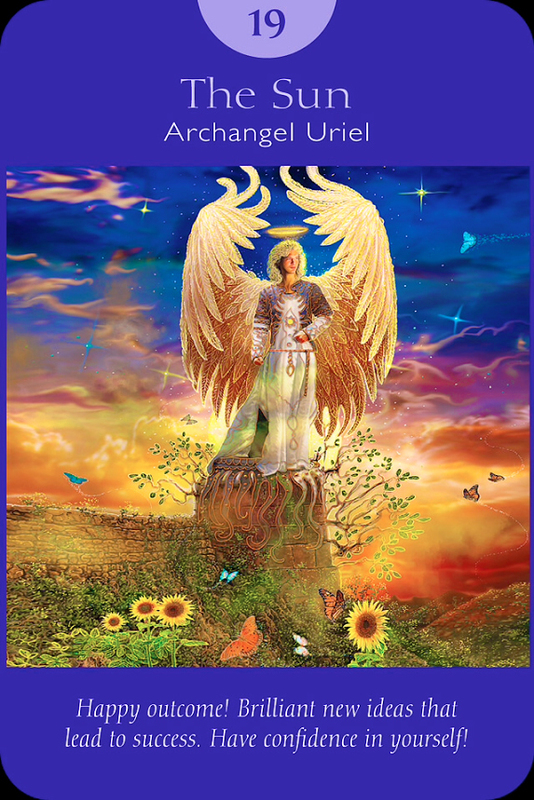 Angel card readings from psychicworld.com lead you on the path of spiritual awareness and healing, alongside your guardian angels. Your angels help you receive Divine Guidance and rebuild any areas of your life that are causing distress, anxiety or challenges in your day-to-day experiences. When you have experienced an Angel Card Reading you will learn to appreciate your life, look at people in different ways and understand the healing powers the angels bring on a daily basis. Angel Therapy is a non-threatening and non-judgmental reading that can provide guidance and answers to questions for anybody seeking knowledge and insight, allowing psychic awareness and subconscious energies to become tuned. When you register for an Angel Card reading you will tap into the angelic presence for guidance. You can focus on a specific question in your life that needs answering and the Angel tarot cards will be used to help guide you in achieving the best outcome and answer to the question or problem in your life that is causing anxiety. On the other hand, your online Angel card reading can be more diverse, with a number of open-ended queries addressed to your angels for advice and assistance. Your angels are with you and protecting you at all times, tapping into the power of your angels by taking advantage of Angel Card Readings helps you develop your spiritual awareness and maintain a center of peace and calm so you can approach your life with tranquility, no matter what problems you have to face. When you are in regular contact with the angels in your life, you will find your life becomes easier and your self confidence grows accordingly. Angels are messengers from God, the messages you receive from your guardian angels and the angels in your life helps you connect with divinity and understand the true meaning of life. You will find comfort from your reading and be amazed by the accuracy of the messages given by your angels. All the readers, psychics and mediums working with psychicworld.com are experts in their chosen fields. Your Angel Card Reading will be given by one of our most experienced readers, who has worked in the realms of Angel Card Readings for a long while and understands all the nuances of chosen cards. Signing up for an online Angel Card Reading is much the same as visiting a professional at the office or home for Angel Card Readings. Your reader adopts the same techniques and helps you achieve the understanding and balance required to follow the path in life that is right for you. The warmth and spiritual affinity transmitted from your online Angel Card Reading advisor will be one immediate result you'll notice when you sign on for your online Angel Card Reading. 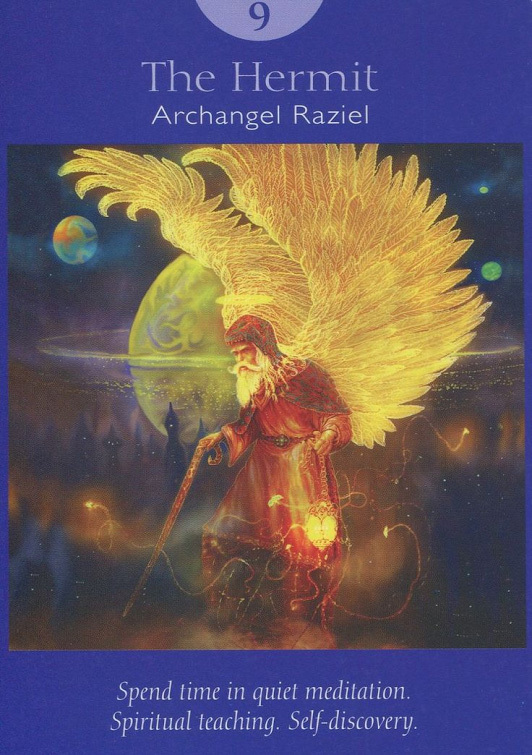 As the reading progresses you will begin to find out more about the angels in your life and develop greater awareness of how to access the power of your angels to keep yourself safe and well throughout your daily life. Your advisor will help you learn techniques for achieving peace and calm throughout your online reading, so when you sign on for future readings you will already be in the right frame of mind to acquire learning and guidance from the angels in your life.